Oversize large-bore coil for drop target bank reset. 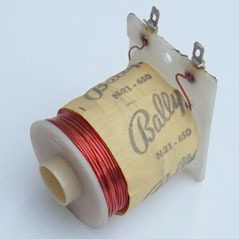 Used on some mid-1970s Bally electro-mechanical (EM) games. Includes coil sleeve.